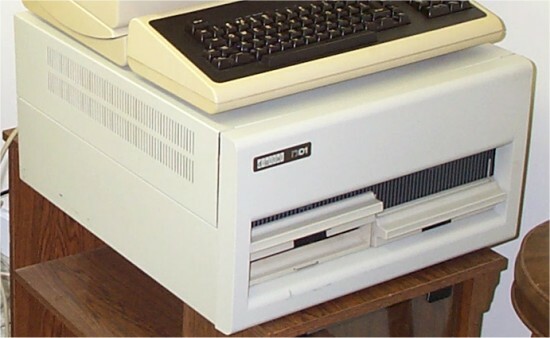 I have a dual RX01 drive unit connected to the Wofford Witch PDP-11/40 system. The RX01 drive uses 8 inch floppy disks and has a capacity of 128k words. I also have a tabletop version as shown in the picture above.